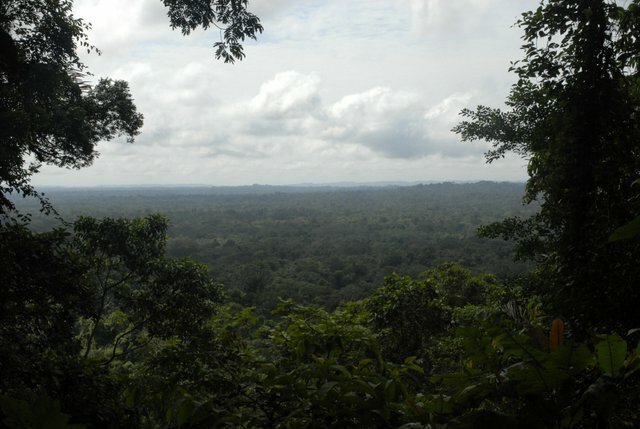 I (Stireman) recently returned from a trip to Ecuador. The primary reasons for the trip were 1. 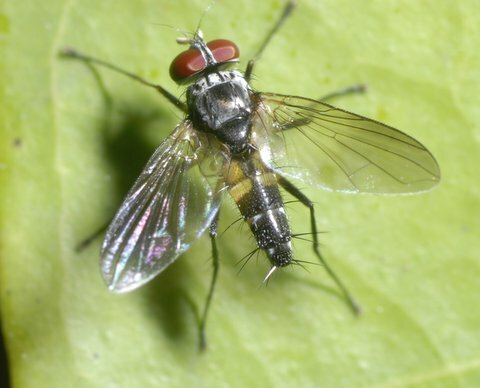 To collect tachinid flies for systematic and biodiversity research, and 2. 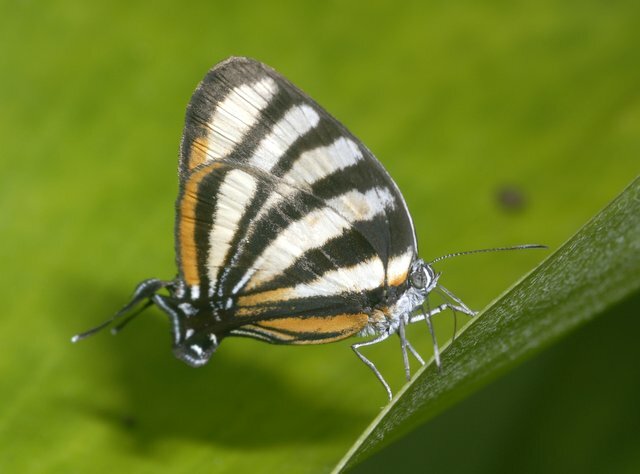 To get graduate student, Karen Pedersen, set up for her studies on the multitrophic determinants of host specificity in Altinote butterflies (Nymphalidae: Acraeinae). There was also the added benefit of meeting up with some of my old grad school buddies, Harold Greeney (Tropical Ornithologist and Entomologist), Caleb Gordon (bird fanatic), Matt Kaplan (high through-put moleculoid master and lizard man), and Margy Green (Optics engineer and herp/bug photographer) and several of their biophile colleagues. From Yanayacu, we travelled to the high paramo, reaching elevations as high as 4300 meters (Like 14400 ft). 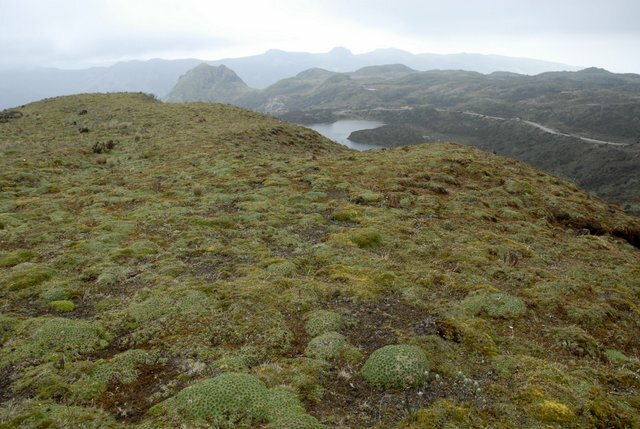 It is remarkable habitat of cushion plants and club mosses, but it’s awful chilly when the sun isn’t out (as it was not when we went…which explains the poor showing of tachinids). relatively untouched. I spent most of my time walking along the road (good place for flies) and peeing on select plants to attract a diversity of flies, stingless bees, and butterflies. 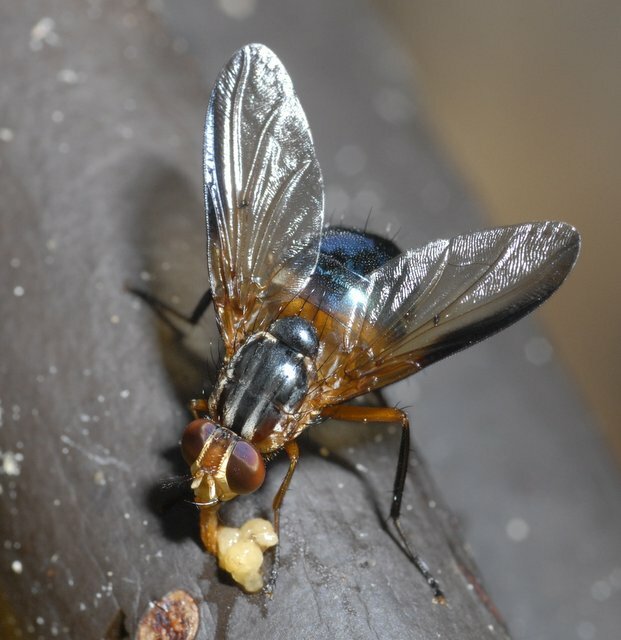 I cannot overstate the utility of urine as a tachinid (and other fly) attractant in the wet, salt poor lowland forest. I even saved jars of pee for this express purpose. 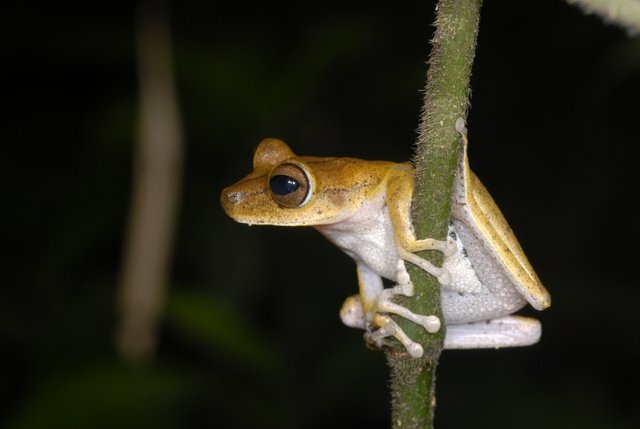 there are 10 species of monkeys, and the insect diversity is amazing. 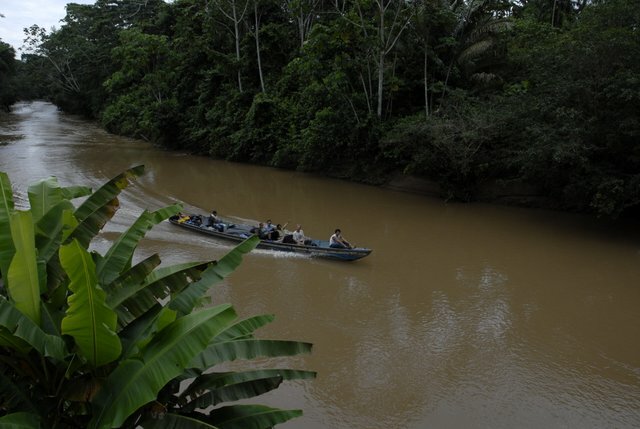 The naturalist Fernando (Vaca), as well as several Huaorani guides, led us on a number of eventful outings on the river and on trails, but we were also free to explore the trails on our own. I spent a lot of time in around the edges of the main clearing of the lodge, monitoring my pee and sugar-water trapline for flies – and even this was awesome. I should note that my good friend and scientific collaborator Harold Greeney arranged all these trips, and I am very thankful he did. I should also note that my tachinid collecting was conducted under the auspices of two major research programs the Stireman lab is involved with: A long term biotic survey and inventory of caterpillar-plant-parasitoid interactions in Ecuador (led by Lee Dyer at U. Nevada) and the World Phylogeny of Tachinidae project led by our lab (see previous post). I was able to collect quite a diversity of taxa (many of which will be deposited in the Museo Nacional del Ecuador in Quito) that will be extremely useful for our ongoing investigations of tachinid ecology, diversity, and phylogeny. 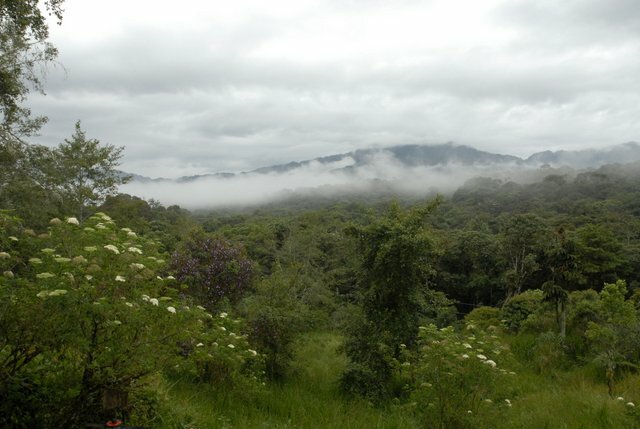 By the way, I left Karen (my student) down there at Yanayacu for four months to work on her studies of plant-butterfly-parasitoid interactions. I’m a little jealous. This entry was posted in Meetings & Travel. Bookmark the permalink.